getsix® can deliver one or two individual services, an entire function (e.g. 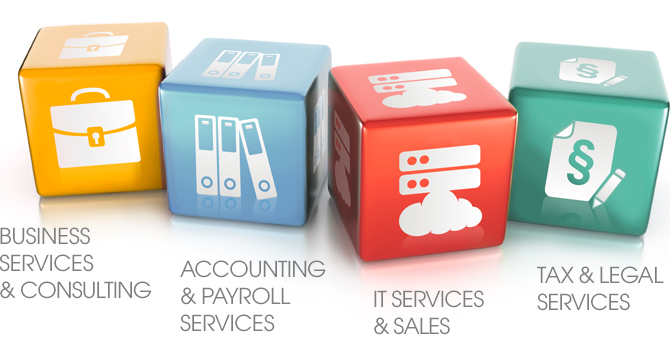 tax, accounting or HR), or an end-to-end business process. We transform and manage existing services, or create and run completely new ones, and we can bring that service, or full solution, to you in a number of ways, adapted to your particular needs. getsix® country desks are only too happy to answer your questions in your preferred language. Provided that your business requiresa location in Poland, getsix® with great pleasure will take of all necessary steps on your behalf. We start from your company foundation – including legal address, up to a complete virtual office services. Allowing you to save not only rental and operational expenses, but also staff costs. Please focus on pushing your core business and getsix® takes care for the smooth handling of the administration processes workflow. getsix® undertakes the complete accounting for you, allowing you to frame successfully your entrepreneurial future. getsix® accounting consists of all material tasks within accounting, encompassing also the maintenance of the Polish VAT register, as well as the VAT refund and representation vis-a-vis, the Polish tax authorities. The preparation of the Polish annual fi nancial statements and consolidation packages in line with the German Commercial Code, forms also part of the comprehensive product pipeline made available to you by getsix®. Comprehensive reporting solutions allow you maximum control and transparency.